Who doesn’t know the benefits of adding olive oil to the diet? It is a well known natural product with amazing health and skin benefits. This highly nutritive oil was said to be discovered by the Egyptians over 5000 years ago. Replacing vegetable oil or other comparatively unhealthy oils with this oil in the diet is recommended by every nutritionist across the globe. Did you know that olive oil also has amazing skin benefits when applied topically? It helps you to get a naturally glowing skin. Do you know that olive oil is considered to be the secret behind Cleopatra’s beautiful face? If Cleopatra used olive oil for her beautiful face, then why shouldn’t you? 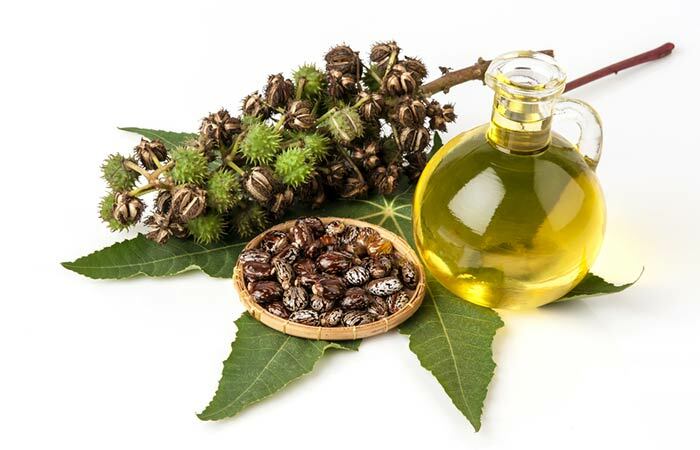 Here are the multiple benefits this oil offers when used topically on the skin. Olive oil contains plenty of antioxidants such as oleic acid and squalene that help in protecting the skin from the harmful impact of free radicals which tend to hasten the process of skin aging (1). Olive oil can be used as a natural moisturizer as it contains essential fatty acids. It maintains the skin’s elasticity and tends to keep it smooth, supple, and glowing (2). As it is a good moisturizer, it helps to keep the skin hydrated and prevents it from getting dry during winters while making it supple and lustrous at the same time. Olive oil is a natural cure for blackheads and whiteheads. It unclogs the pores by absorbing the impurities accumulated thus taking care of the whiteheads and blackheads (3, 4). With regular massage of olive oil, it can fade away scars and pimple marks, thus making your skin blemish-free (3, 4). Olive oil is said to repair our skin cells naturally unlike any other expensive beauty product. It contains vitamin E, flavonoids, and polyphenols which enhance the skin cell turnover making your skin healthy and glowing from within (3, 4). It can help treat skin infections as it exerts antimicrobial activity against a variety of bacteria, fungi, and viruses (3, 4). Olive oil’s anti-inflammatory properties can be used to treat both external and internal inflammations of the body (5). The benefits of olive oil for our skin are just fabulous. Doesn’t applying olive oil to face for glow make sense now? However, make sure to pick up ‘extra virgin’ olive oil for your beauty treatment. Extra virgin olive oil is suggested for use because it is not a refined form of the oil; hence, it has all its nutritional values conserved in it. 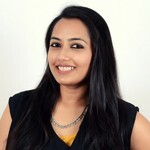 There are various ways of using olive oil for glowing skin. The best ways to use it to reap the maximum benefits are as follows. Using your fingertips, massage the oil on your facial area in circular motions. Try to rub firmly over your nose, cheeks, and forehead. Now, dip the face cloth in hot water. Press and hold the face cloth firmly against your face until it comes down to room temperature. Remove the cloth and rinse it using the hot water again. This time, instead of pressing the cloth, try to rub it gently all over your face while trying to remove the top layer of olive oil. Pat your face dry using a paper towel. Repeat this every morning and night. You will be able to see results within a week. The benefits of using olive oil are mentioned above in detail. If you have dry skin, all the uneven and dry patches will be healed, leaving your skin glowing and rejuvenated. For oily skin, the excess oil production in your skin will be brought under control, and your pores will be clean and unclogged. The hotness of the water should be at a tolerable limit. Mix the lemon juice well in the olive oil. Apply this all over the face and massage it in for a minute or two. Leave it on for 30 minutes and then rinse it off with warm water. 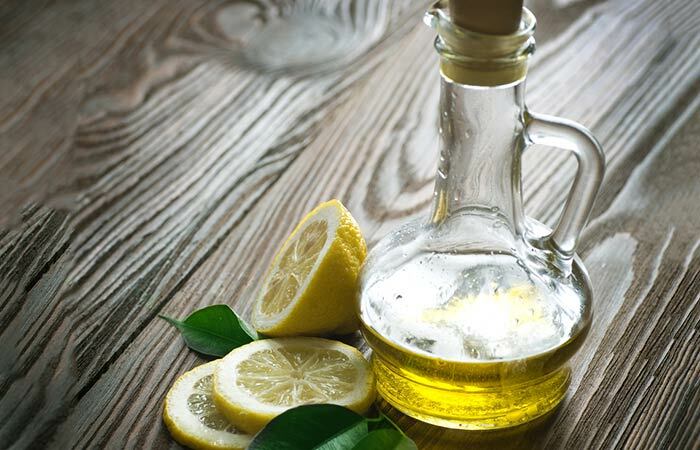 Lemon juice unclogs pores and brightens up the complexion. 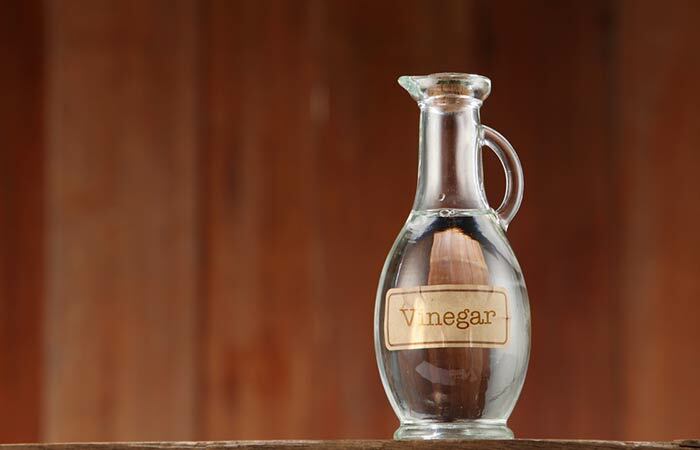 It is also an astringent and an antiseptic (6). Take olive oil, honey, and egg yolk in a bowl. Mix these properly. Apply this paste on your face and let it stay for 15 minutes. Now, wash it off with warm water. Repeat this twice a week to see visible results. This face mask helps to maintain the skin’s elasticity, smoothness, hydration, and natural glow. 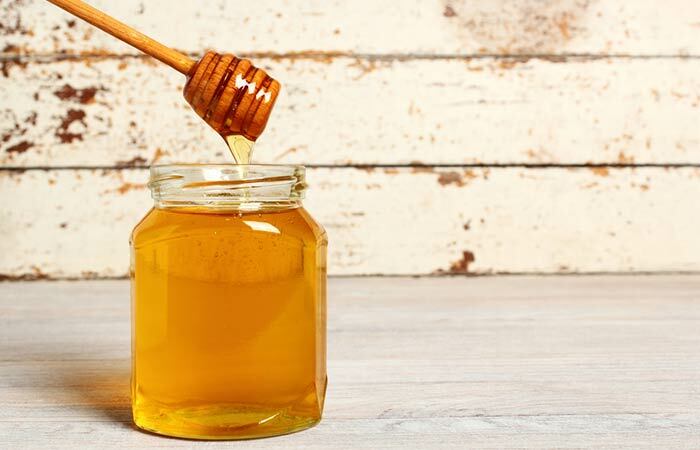 Honey is a humectant and also contains antioxidants that rejuvenate the dull skin (7). Egg yolk contains nutrients that replenish and tighten the skin, and give it a beautiful glow (8). Mix all the ingredients together and apply on the face. Rinse it off with water. You can use a gentle facial cleanser to remove the turmeric stain from the skin. Turmeric powder is often used in herbal face packs to not only treat skin issues but also to impart a natural glow to the skin. 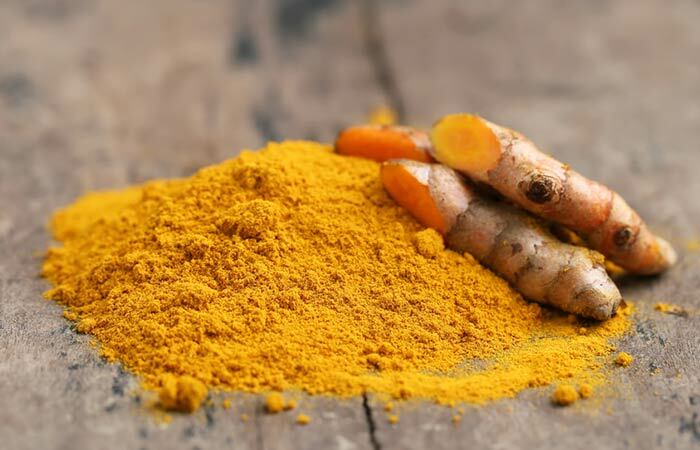 Curcumin is a key component of turmeric that is responsible for its beneficial effects on the skin (9). Yogurt, in this face pack, conditions the skin and also lightens it with its lactic acid content (10). Mix all the oils together and massage the facial skin with it. Use gentle circular motions. Keep massaging for 2-3 minutes. Keep the oil blend on for another 10 minutes and then wipe it off with a washcloth dipped in warm water. 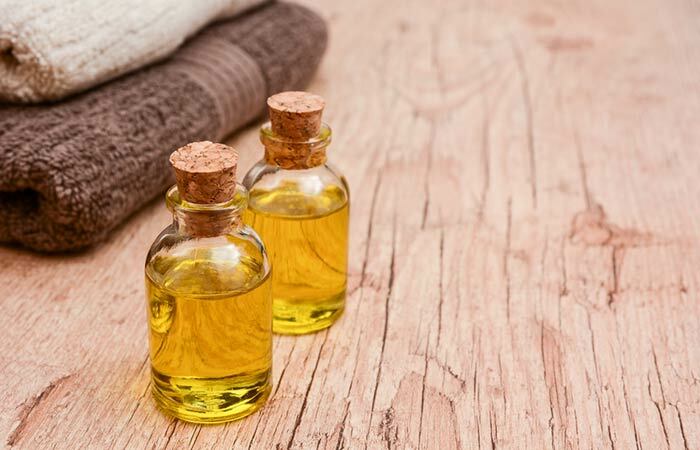 Using an oil blend to massage the skin will restore the skin’s natural oil production to normal levels. The skin cells will be nourished and replenished regularly making your skin soft, supple, and glowing. This remedy with olive oil also has the additional benefit of being anti-aging in action (11). Pour all the ingredients into the bottle and shake well. Use a few drops of this concoction on your face. Apply in a circular motion. While the olive oil nourishes the skin, the vinegar tones the skin and evens out the skin tone with its mild acidic nature (12). These olive oil beauty treatments for getting naturally glowing skin are definitely worth giving a shot. After all, all of us want that glowing skin without having to spend much on chemically-treated cosmetics. Olive oil can help to achieve that easily with the treatments mentioned above. And we all know natural is always safe and beautiful. Now that you know how to use olive oil to get glowing skin, what are you waiting for? What’s your take on olive oil for glowing skin? Let us know in the comments section below.